Since 2006 Canine Connection has offered premium pet care services to the New Orleans area. Located in uptown, we are proud to offer the highest quality Overnight Boarding, Doggie Daycare, Bathing, and Grooming. Across from our boarding facility is a dog-centric retail store offering unique items for dogs and cats. Canine Connection boasts 24-hour staffing, several spacious outdoor play areas, private air-conditioned suites, webcam monitoring, and an above ground doggie swimming pool. 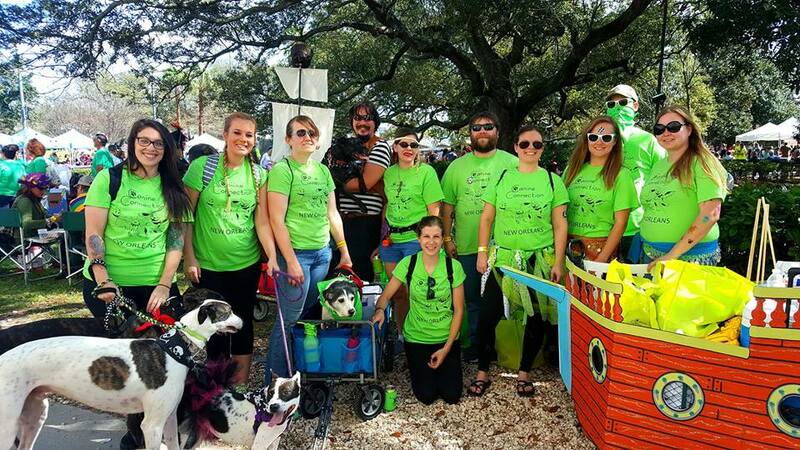 The company regularly sponsor events to benefit groups like the Louisiana SPCA – a local shelter servicing the New Orleans area. We participate annually in events including BARKtoberfest at NOLA on Tap, Brunch Fest, and Howling Success. We founded the resale shop, NO Fleas Market at 4228 Magazine Street to benefit Animal Welfare by donating a portion of the proceeds to local shelters and rescue groups.